When testing the Skype.com experience a fairly common scenario consistently appeared. Users expected to be able to use Skype from within there browser. For some new users, downloading Skype as an app on their computers was a barrier. 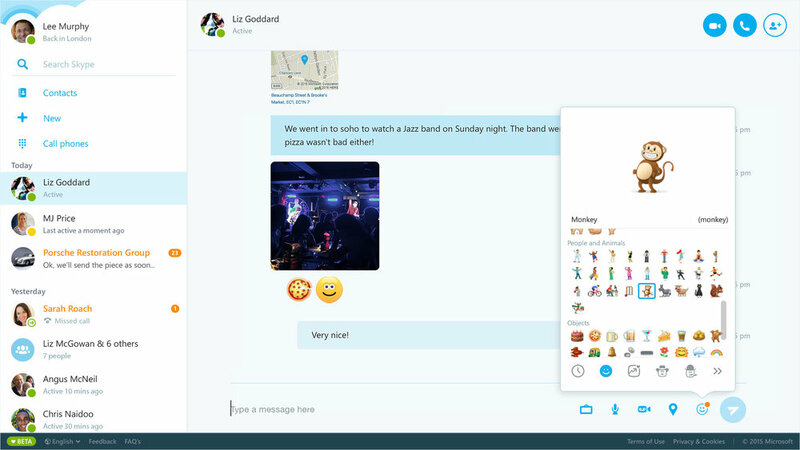 Creating a web app would help lower to barrier to use Skype, but also offer the ability for existing users to access Skype from any computer. • Instrumental in the design and shipping of the first Skype web client. • Working on across platform initiatives to enhance current features.